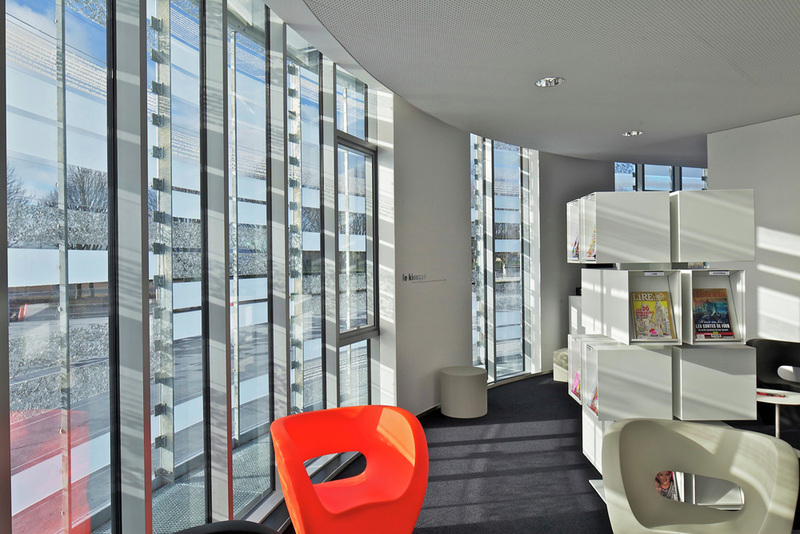 The Jean d’Ormesson media library is Located East, in the Ferté Bernard, Sartre area, set at the heart of the city. 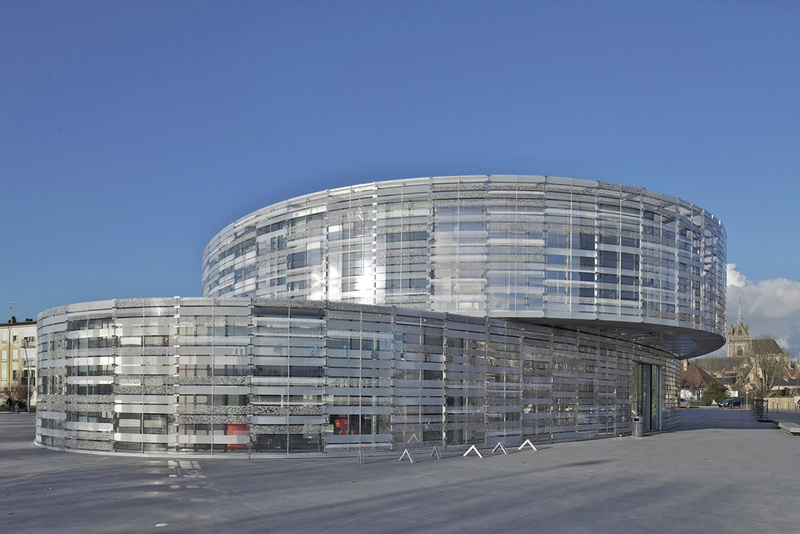 It is the new city front door combining tradition and modernity. 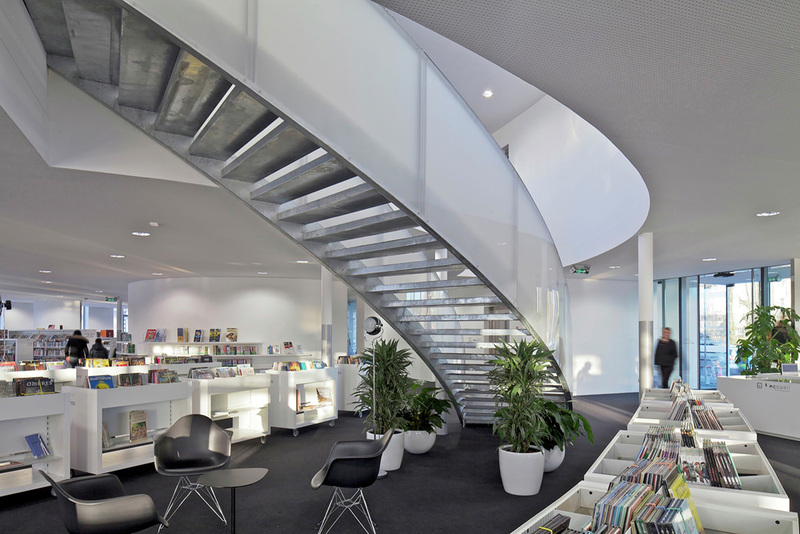 The 1800m² Media library is situated on the edge of the old town and the river that surrounds it. 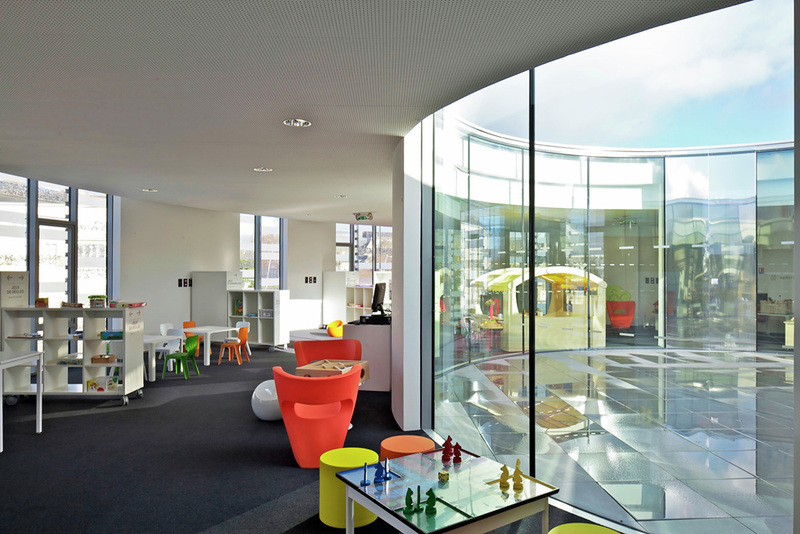 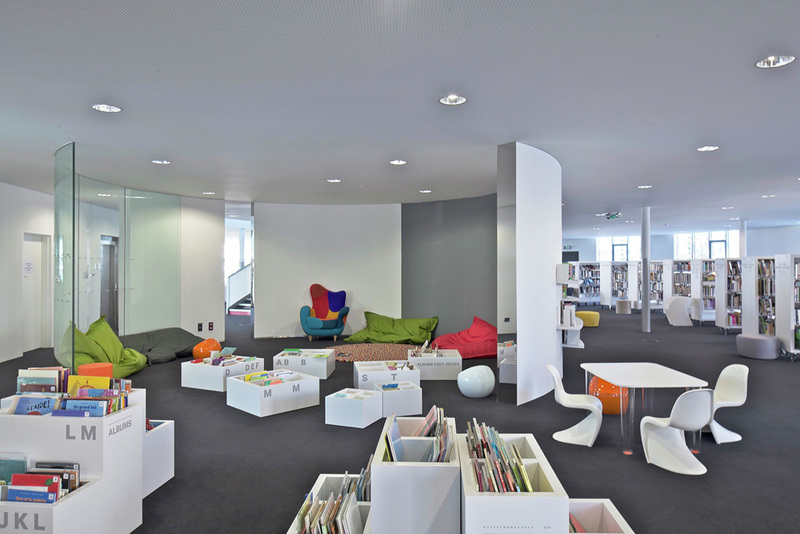 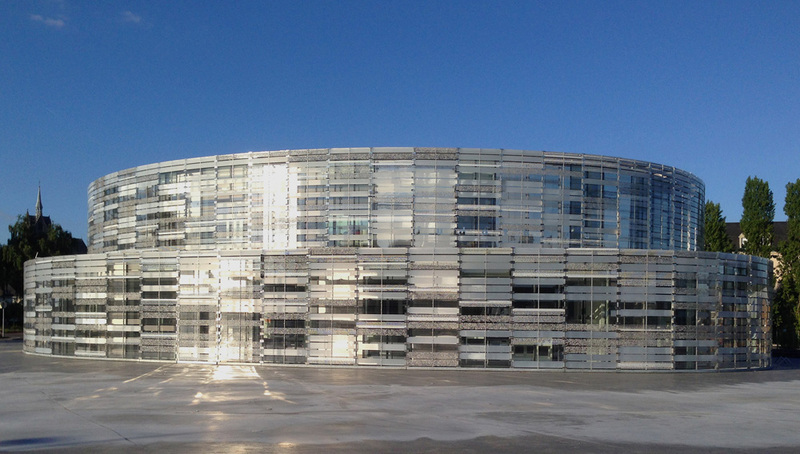 The architectural design of the library was created in the workshop of Philippe Fichet Architects. 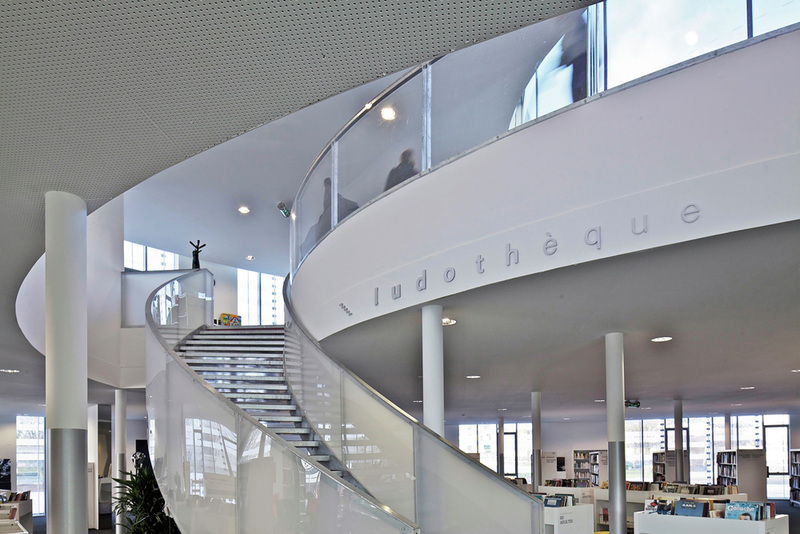 The building has program for two facilities that coming together: a games library and the Médiathèque itself. 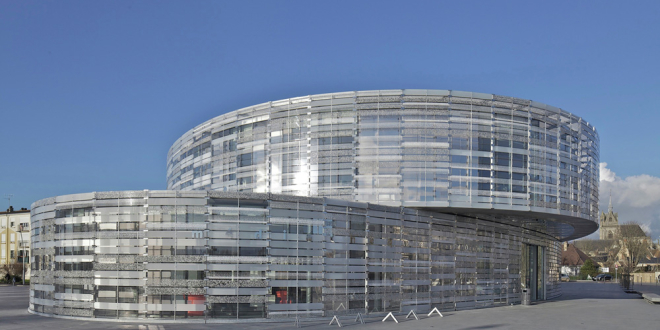 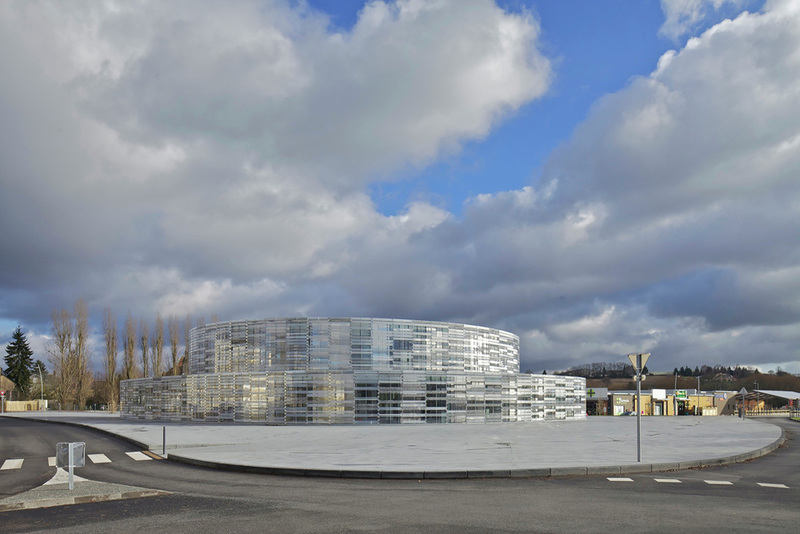 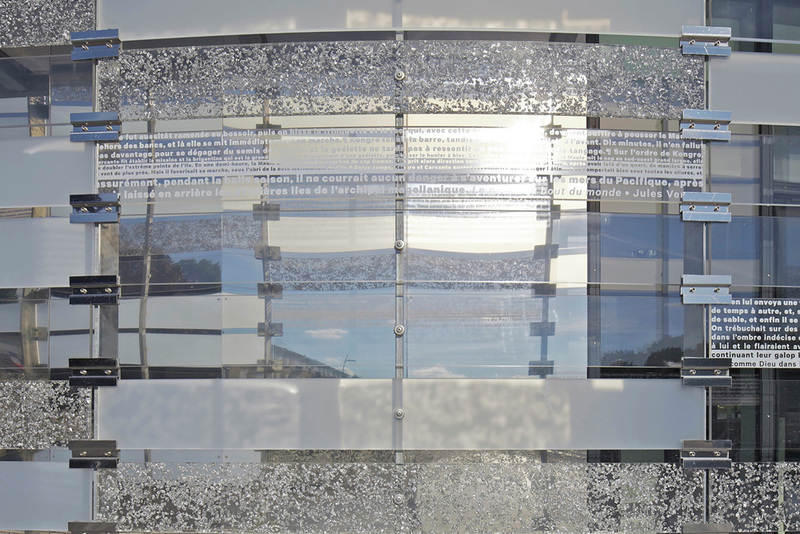 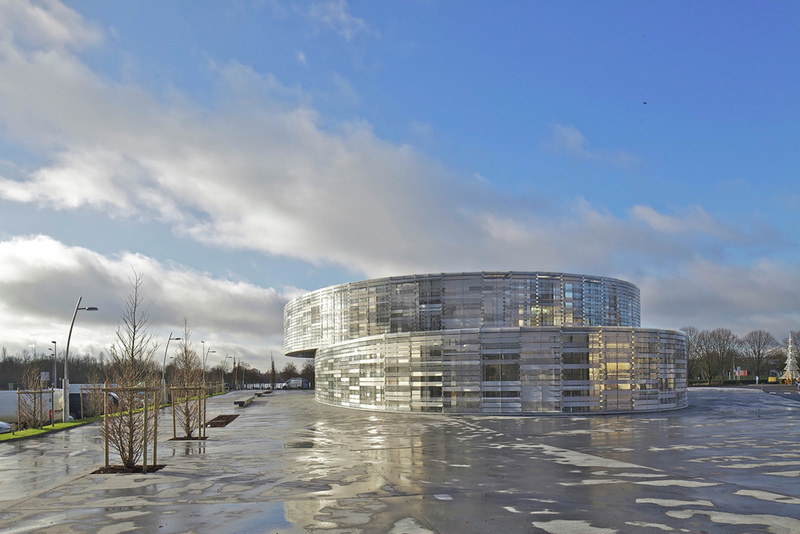 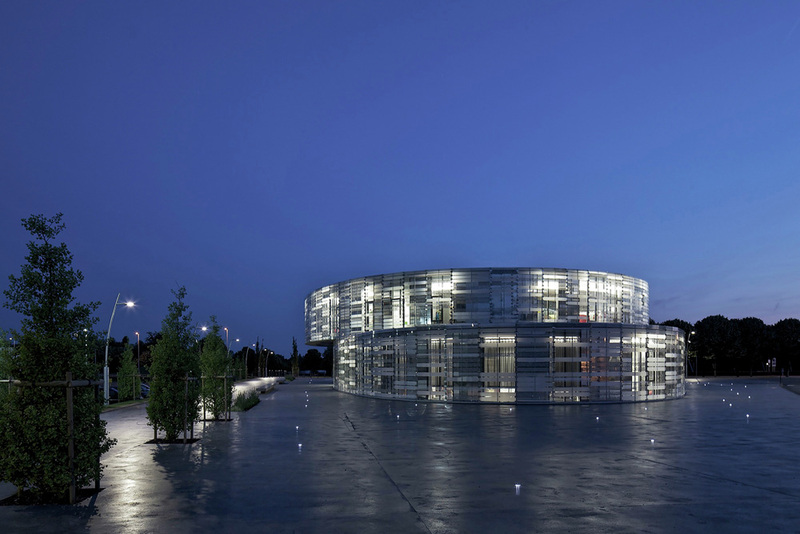 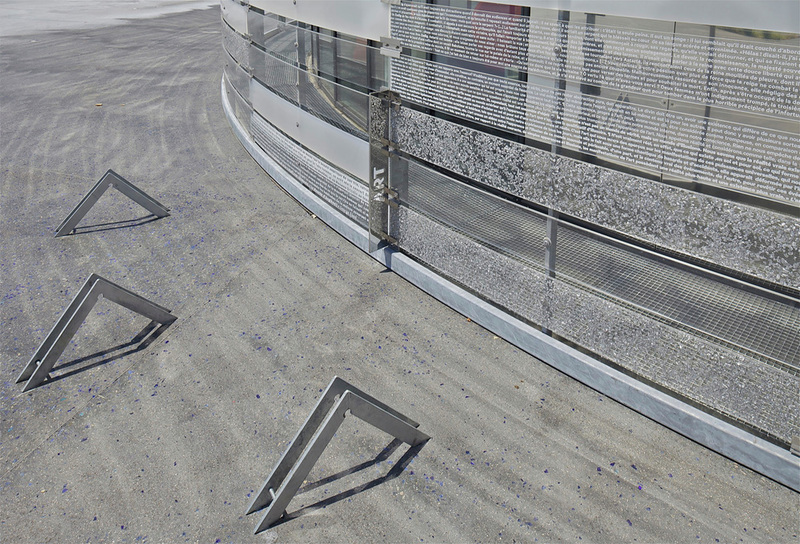 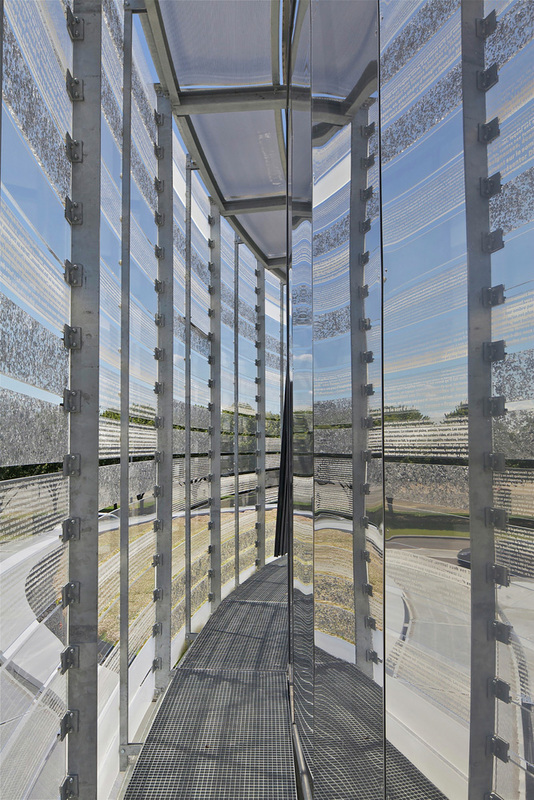 The Media library is a delicate object built on a circular plan, half of which was cut and horizontally divided into two crushing parts, coming from the ground and transforming the forecourt into a large mirror reminding of the surrounding water. 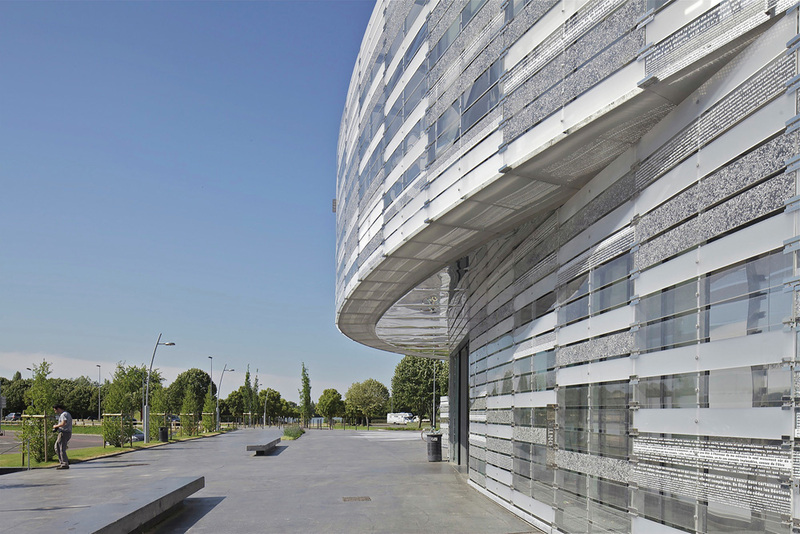 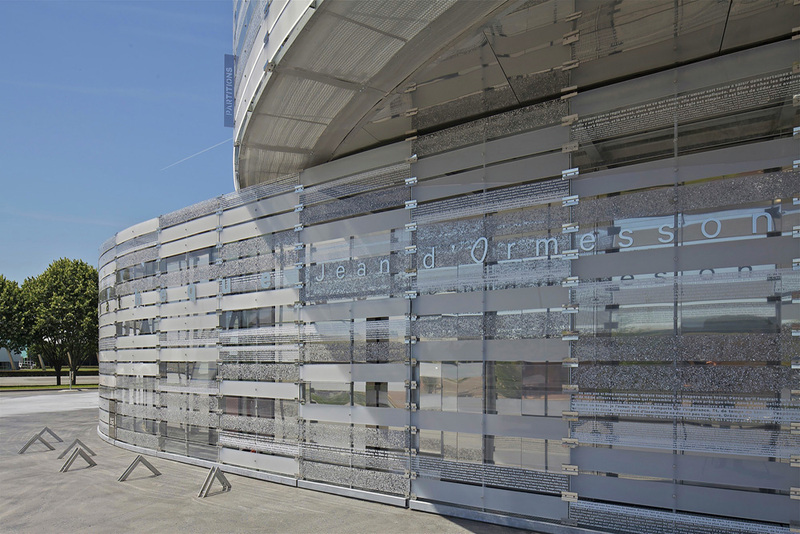 The facade becomes an artefact that reflects the sun’s rays and provides light and transparency. 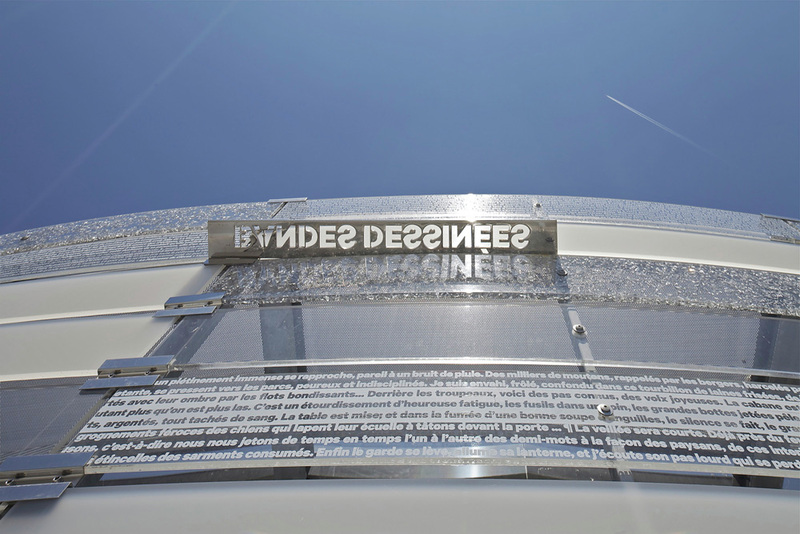 Take a look at these photos, it is worth!